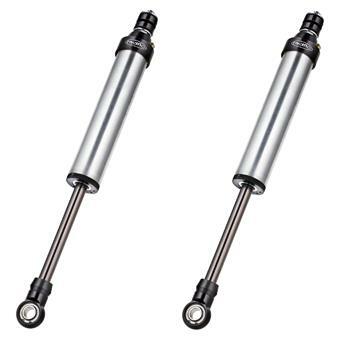 Radflo 2.5″ diameter rear shocks. These shocks offer incredible ride quality and performance on or off the road. The 2.5″ diameter shock is tuned specifically for the vehicle. Available with or without a remote reservoir and compression adjuster.